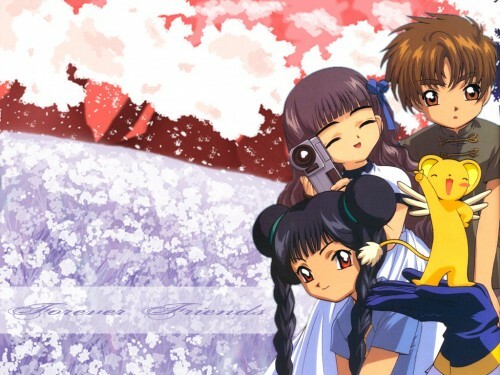 Tomoyo, Shaoran, Meilin and Kero. i like the scan you used but i agree with fawna-chan, whyd you cut her out? Quote by evilsesshomarunice wall ^^ Tomoyo kawaii a lot!!!!! where is sakura??? O.o heh ^^ keep up! Aww that's really cute! I wish Sakura was in there though, but its cute anyway. There's not many images of those three. ^^ Keep it up! Good wallpaper... Hey where is Sakura-chan? Why don't she have a love with Sholan? It will be more good! I guess this looks a little typical for the series, but it's also different from most of sakura wallies that were posted here, that's for sure. Anyways, thanks for sharing this wonderful work of yours.